Designer and TV show host Nate Berkus will be debuting an exclusive new line of home products at Target this fall! I'm a huge fan of his style so I'm thrilled to hear that the collection will include more than 150 home goods and accessories —including bedding, bath, lighting, accessories, rugs and more. All ranging between $5.99 to $149.99, and available October 21st. The collection includes pieces such as a chevron patterned duvet, ikat-link towels, herringbone window panels, braided jute rugs and a metal lamp. The decorative accessories include lacquered tortoise shells, ceramic urns, hammered metal bowls in gold, a fabric covered tray, toss pillows with stud accents and decorative objects with snakeskin finishes. Can't wait to see more pics of his collection! 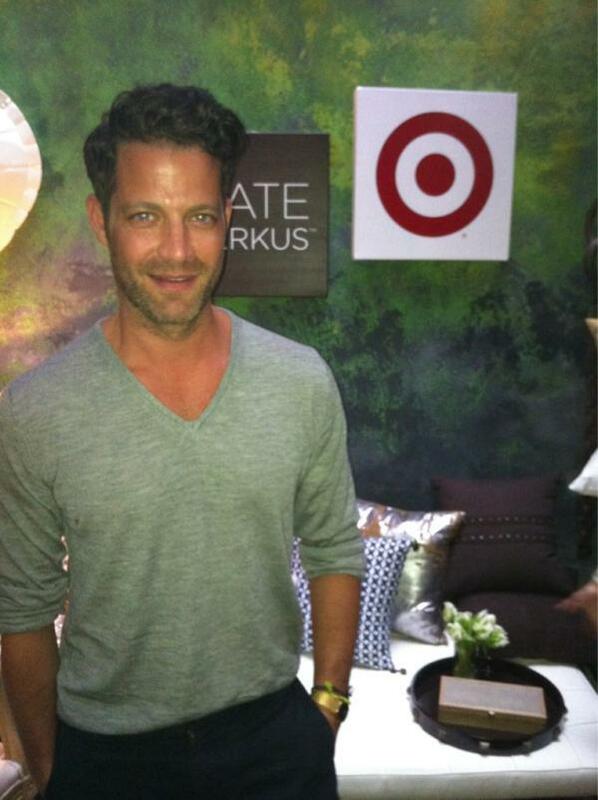 What do you think, will you be picking up a few Nate Berkus items at Target? This is the first I am hearing about it. I am more excited for this special Target collection than any other. Thanks for the info.